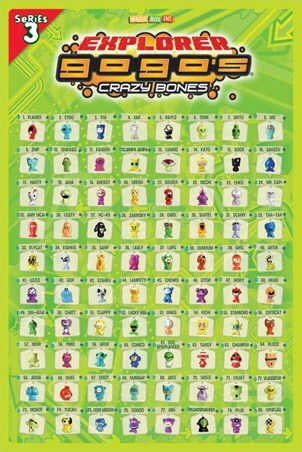 Children's Poster: Used to play a modern version of the Ancient Greek game 'Astragals', the collectable plastic Gogo's Crazy Bones figures have been popular since the 1990s but have recently seen a surge in sales following the release of new characters in the UK in early 2008. 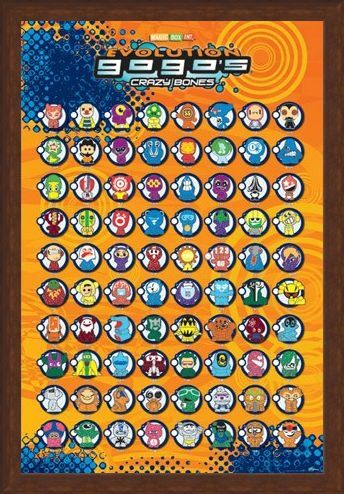 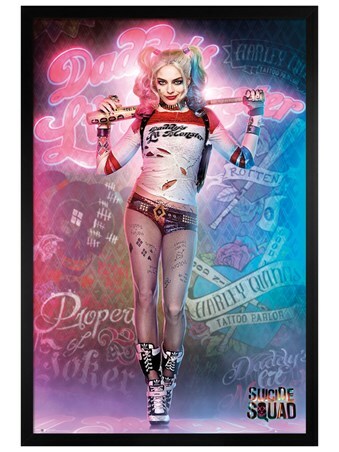 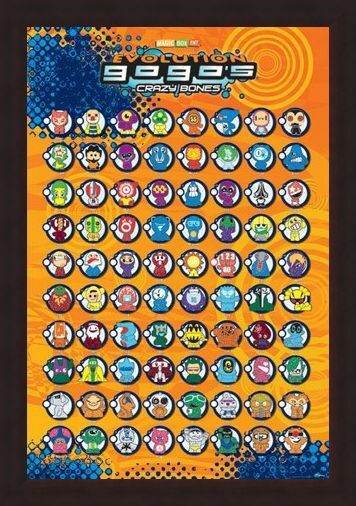 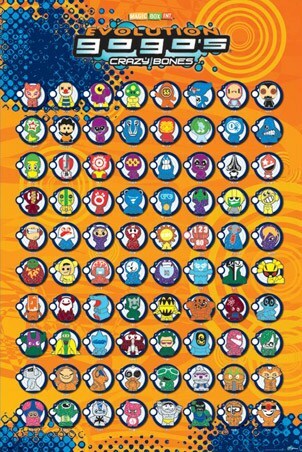 This fantastic poster is ideal for any collector as it features all eighty Gogos you need to complete the set, with cute tick boxes so you know which ones you still need to find! 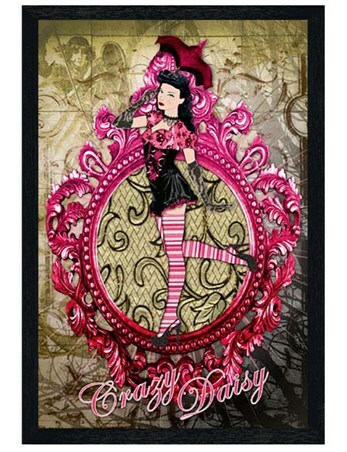 High quality, framed Gogo's Crazy Bones, Magic Box Int. 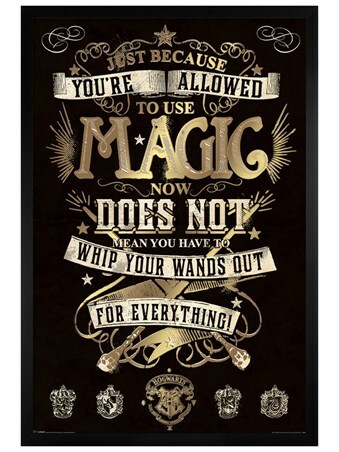 poster with a bespoke frame by our custom framing service.